The historic village square lives to the beat of countless celebrations, with the “yellow gold” still flowing out of its old wine press. Shop and restaurant signs are tempting and the air here is almost Mediterranean. An endearing village where traditions are alive and the fascination is permanent. 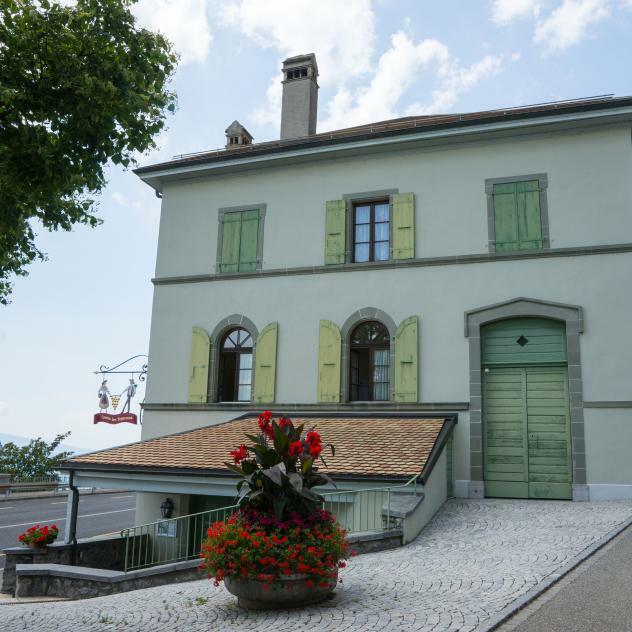 Saint-Saphorin is part of the terraced Lavaux vineyards, which are part of the UNESCO World Heritage. It lends its name to a wine of great finesse made from Chasselas grapes. A prestigious site that invites visitors to the heart of the old town with its winding cobbled alleys, narrow passages and church. Walking up across the surrounding vineyards that seem suspended between the sky and the earth, visitors’ eyes can take in a mosaic of multi-coloured roofs, from which the original double steeple stands out. At its foot, there are some arcades, a Judas tree and a gurgling fountain. “Place du Peuplier” below is where tourists, winemakers and epicureans mingle. The tight line of houses and the vaulted door recall that Saint-Saphorin used to be a fortified village in medieval times. A world of stones and plants summarize the spirit of the site, where many artists found refuge and inspiration, such as Jean Villard Gilles, the most famous Vaudois chansonnier. 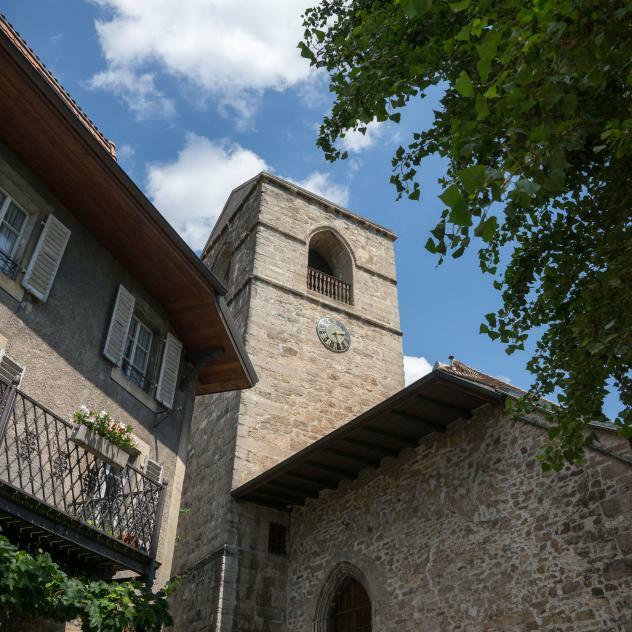 Saint-Saphorin has been a member of the Association “The Most Beautiful Villages in Switzerland” since September 2016.